The NJ Festival of Ballooning Begins on Friday! 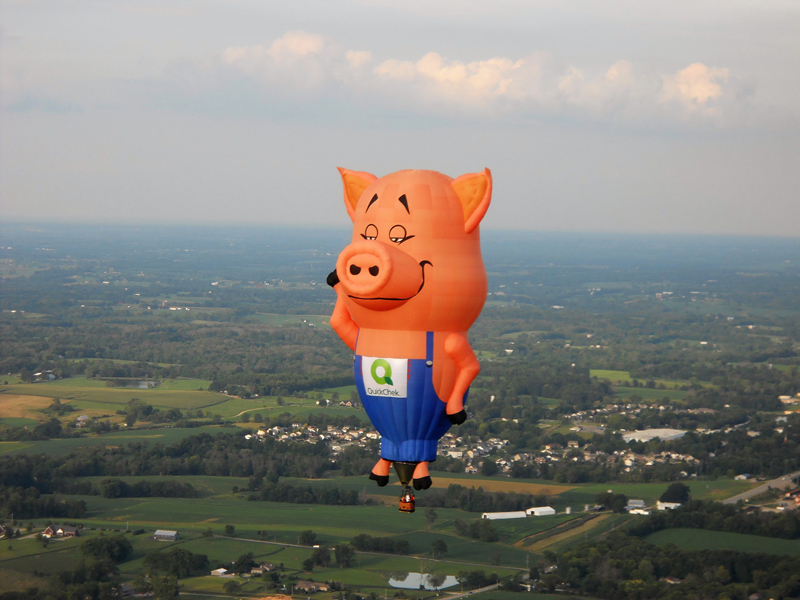 From female human cannonballs to 115-foot-tall balloons, the 34th annual QuickChek New Jersey Festival of Ballooning is going to be a sight to see. The three-day event will paint the Hunterdon County skies with 100 hot air balloons from around the world, including the UK, Canada, Brazil, Mexico, and Thailand. 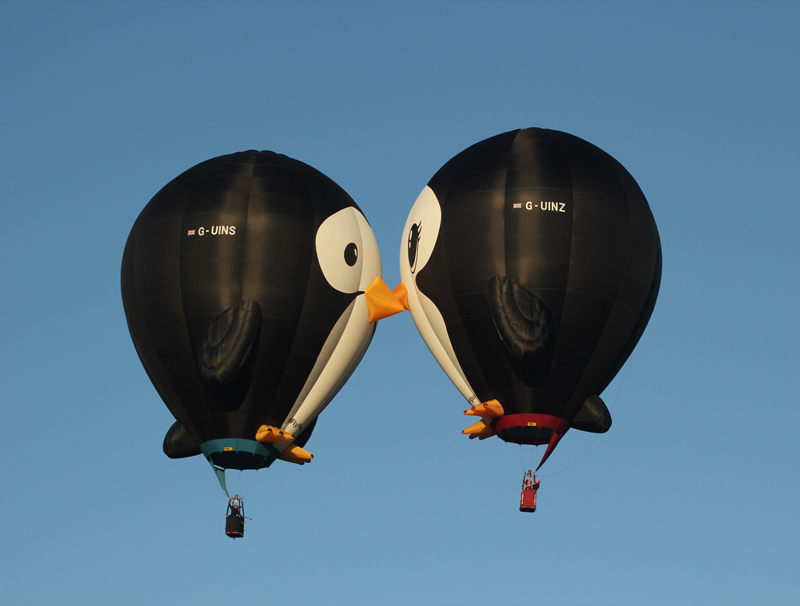 Located at the Solberg Airport in Reading, the festival will feature several noteworthy balloons including QuickChek’s 115-foot-tall Farmer Pig, Puddles and Splash the 90-foot-tall kissing penguins, and a 500-pound Brazilian Piranha. A mass hot air balloon inflation and ascension will take place at 6:30am and 6:30pm on each day of the festival. There will also be the “Greatest Glow on Earth” Saturday night balloon glow where balloons are inflated and lit up while tethered to the ground. In addition to the balloons, the event includes daily music concerts. Third Eye Blind will perform on opening night, followed by a fireworks display. Saturday brings NJ101.5FM, The Girl and The Dreamcatcher, and KC and The Sunshine Band. On Sunday, John Kay & Steppenwolf and Foghat perform in association with Q104.3FM. Children’s amusements, a 5K Cross-Road Challenge, and hundreds of crafters and food vendors will also be available to the expected 165, 000 attendees. 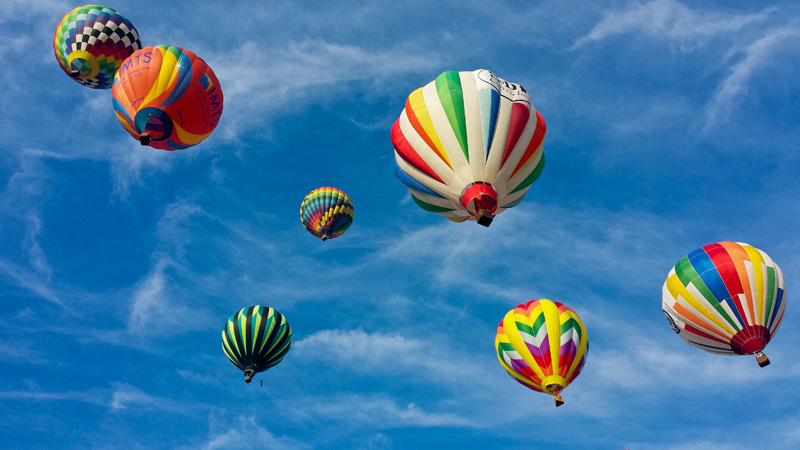 The Festival of Ballooning, which is the largest summertime hot air balloon and music fest in North America, runs from 1 – 10pm on Friday, 6am – 10pm on Saturday, and 6am – 8pm on Sunday. For more information and ticket prices, visit www.balloonfestival.com.